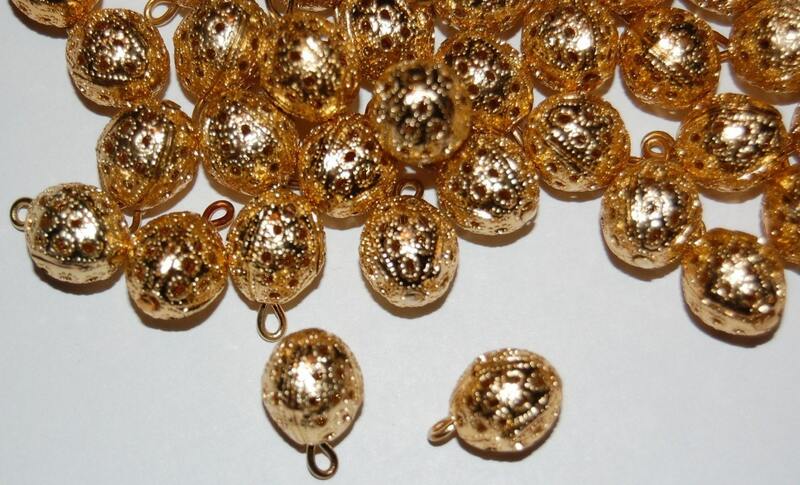 These are wonderful vintage brass filigree beads. They are unused stock from the mid 1980's. 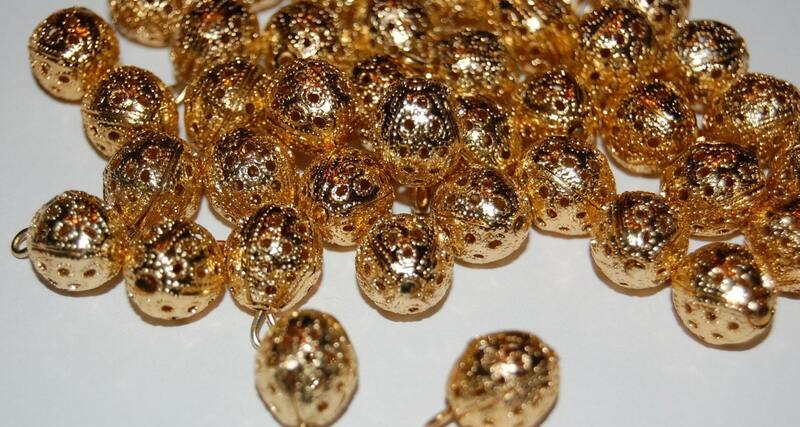 These beads are slightly oval in shape and have an attached loop. They measure 12mm long X 10mm wide. You will receive 10 of these. Gorgeous! Even better in person! Excellent quality, and bigger than I imagined! Love the detail, and ornate look to them! Perfect!